Betty Leong was recognized for her important contributions to Nassau County and the residents of the 10th Legislative District by Legislator Ellen Birnbaum (D-Great Neck) during the Nassau County Legislature’s annual Women Trailblazers ceremony on Monday, March 25. Leong, of New Hyde Park, is a retired New York City high school math teacher and newly appointed co-president of the Chinese Center of Long Island. 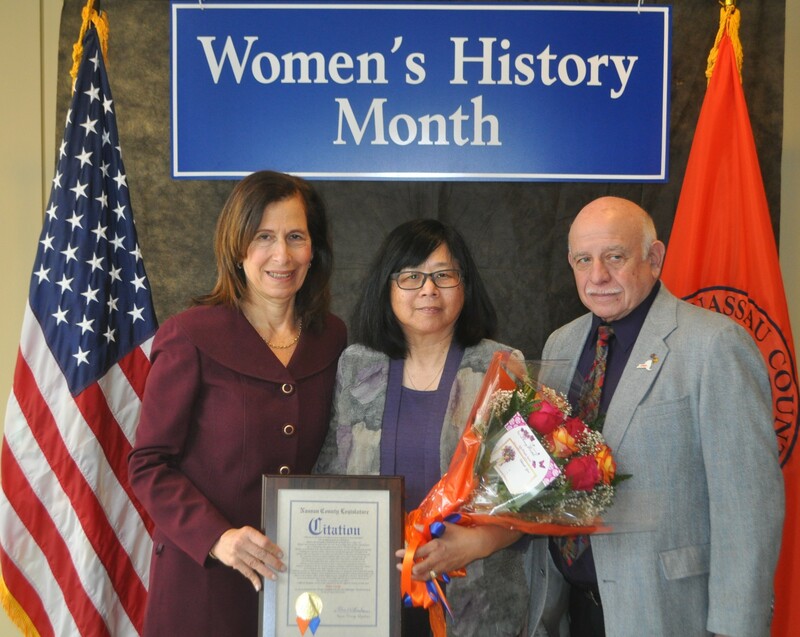 She is also a former co-president and board member of the Great Neck Chinese Association. In both roles, she raised awareness and appreciation of Chinese culture through programming and community outreach. Leong is also a volunteer coordinator at the Joy Fu Senior Program at Michael J. Tully Park and supported efforts to revitalize the New Hyde Park Senior Club at Clinton G. Martin Park. She has traveled to Albany on behalf of AARP to advocate for caregiver tax credits and increasing aid to home and community-based services.